I was able to catch Bonnie from Fishsticks Designs for a few minutes, and I have to tell you, she was so nice! 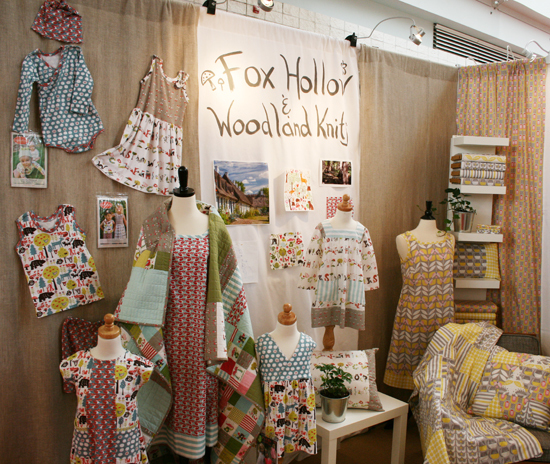 Here are some of the cute patterns from her Market exhibit. This is the new SeeSaw Dress, isn’t it cute? In the center of this photo is the Playhouse Dress and the model on the table is showing off the Buttons and Buckles Overalls. See the Katie J. Jumper by the chair? And did you notice the table? It is a wooden ironing board. What a great display idea! Here’s the Everyday Camp Shirt, The Sunshine and Sandals Shirtdress in the middle, and The Sand and Sidewalk Boardshorts on the right. Those last two are brand new designs, they are listed as coming soon on The Fishsticks website, so you will want to check back later to get those! 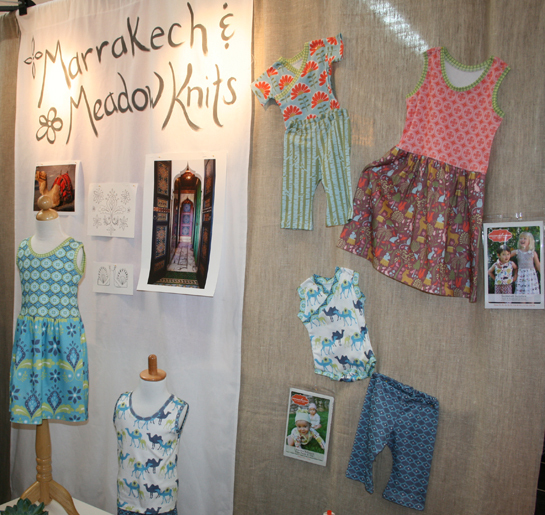 I must show you the Monaluna booth with their yummy organics, too, because check out the little dress in the bottom left! 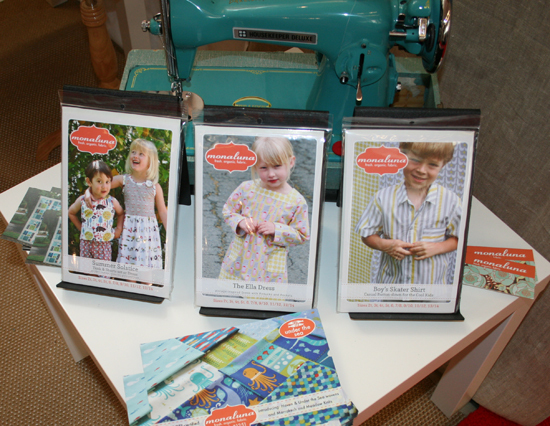 Monaluna recently released a bunch of great new fabrics and they have their own pattern line as well.